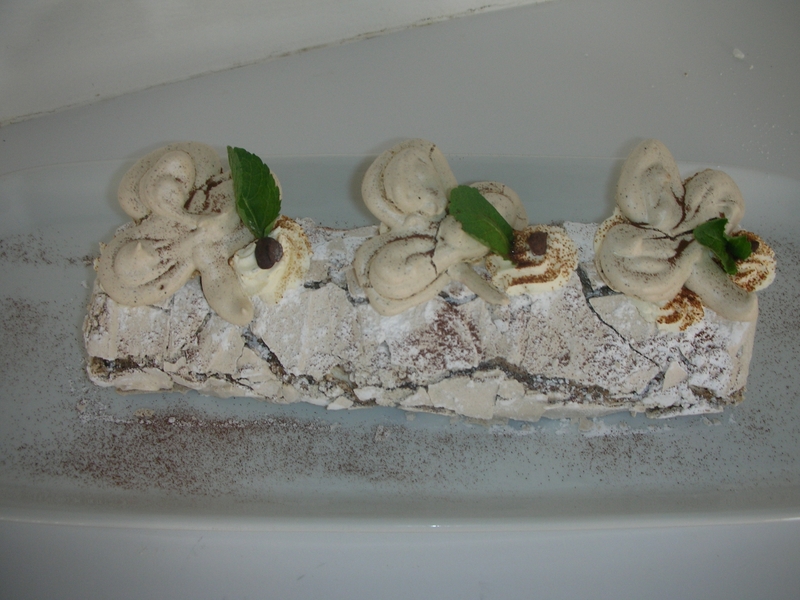 Though I had been baking for years, I actually never attempted a meringue roulade until I was a student at the Ballymaloe Cookery School. I know this sounds selfish, but since it wouldn’t be my first choice of desserts, I just didn’t have an interest in making it. But because it was part of the curriculum of our course, I didn’t just make it, I went all out! In fact I made a special Irish Coffee flavored version complete with a Whiskey Whipped Cream and shamrock shaped meringue details. And it was so well received I chose to remake it for my final exam “pudding” at the end of the course. My Hubby happens to be a massive fan of my roulades and the one I make for him is the version with fresh cream and berries. Sometimes I like to mix through some lemon curd with the whipped cream to give it a nice tangy taste. Though the recipe is meant for 6-8 people, it can often get polished off by the two of us (mostly him) without much effort. It is so light and yet the outside of the meringue has a crunchy texture which practically melts in your mouth like cotton candy (also known as candy floss in this part of the world). The recipe instructions are actually not that difficult at all. But I found that many of my cookery students admitted they had mixed results when making any type of meringue (for instance a Pavlova) previous to my class. I think there are a couple of main points that must be adhered to in order for the efforts to lead to success. First is to start with a spotlessly clean bowl. Sounds simple. Then there is the issue of making sure the egg whites are separated properly so no egg shell or egg yolks have managed to find their way in. Right, makes sense. Lastly beating the egg whites and sugar until they have become stiff peaks is the key before putting it in the baking tin. If it isn’t beaten enough, then while it is baking it will totally flop. So this step really takes patience. The issue of patience reminds me of my dear Hubby. While he himself admits that patience is a virtue that is not necessarily his strong suit, he sure showed a bountiful amount of it while waiting for me. I suppose I gave him what is known in American style football as the Stiff Arm. Not a step I recommend in a recipe, or more specifically a recipe for a relationship. But as a single mom of two teenagers, maybe it was a subconscious mommy maneuver. I didn’t want to upset their boat anymore than it had been with the divorce of their parents. So the stiff arm was solid and went on for years! And I mean years. Once we finally got married there was a period I felt really badly about what I had put him through. But I don’t like to live with regrets and so I began to look at our situation a bit differently. I realized that things happen for a reason and at a certain time. There was a silver lining to it all. Or maybe we could say, a bronze lining. Why? Well, if you are really up on your stiff arm trivia, you’ll know that the Heisman Trophy (awarded every year to a college football player) is made from bronze. 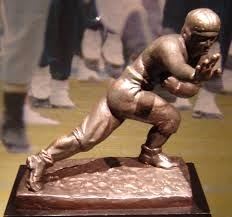 The statue is of a football player posed in a stiff arm tactic. 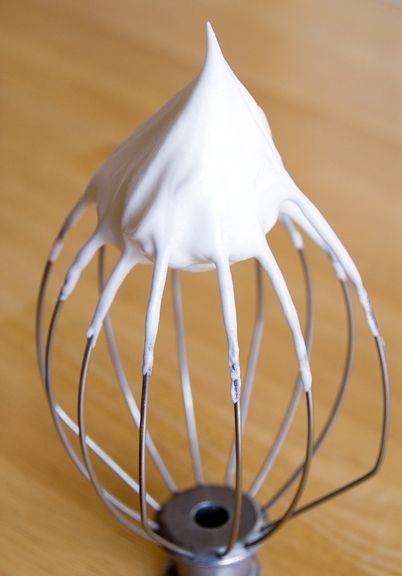 Just like making the perfect meringue, once the egg whites and sugar are beaten until a stiff peak, there is also a nice shiny gloss to it. A sort of alchemy takes place. The two, become one. And that is exactly what happened in my relationship with my Hubby. 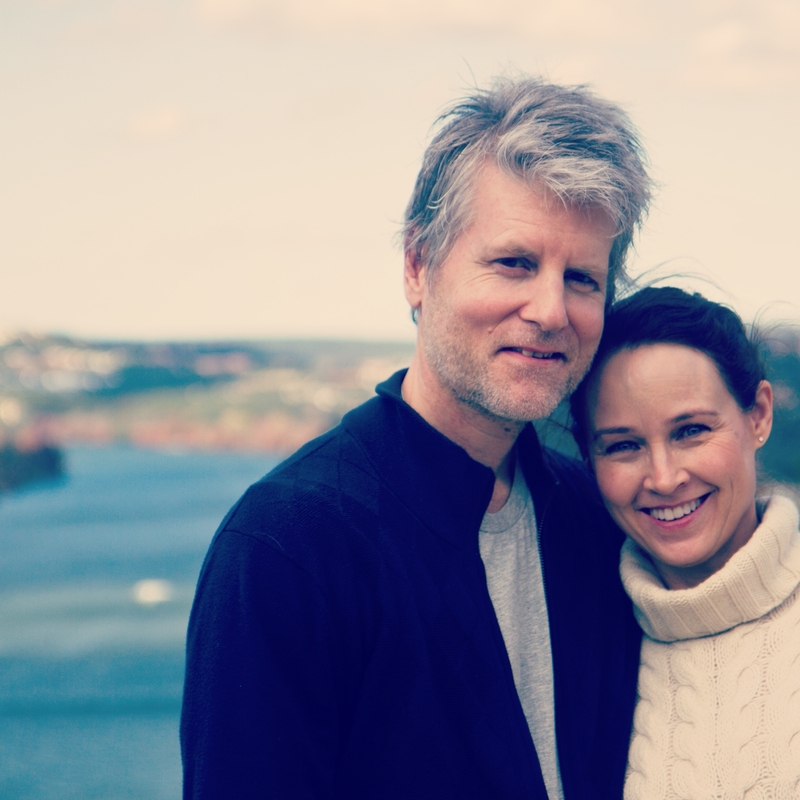 Our marriage is actually better for it and all we went through to get here. All of his patience and all of my stiff arming helped whittle away negatives and forge a better and stronger bond. It was a gamble as it could have flopped like a bad meringue. But it paid off and we are both grateful for the sweet but tangy, light but crunchy result! Line the swiss roll tin with foil, folding the sides up to make a frame 4 cm (1 ½ in) high and squeezing the corners together. Brush lightly with vegetable oil. Add the caster sugar all at once and whisk at full speed for about 4-5 minutes until stiff peaks form. Smooth the meringue into the prepared tin with a palette knife and bake in the oven for 15-20 minutes, until faintly browned and firm to the touch. Allow the meringue to cool for a few minutes, then turn out onto a sheet of foil bigger than the roulade (or a clean tea towel) that has been dusted with icing sugar. Carefully remove the foil on the base and allow to cool completely. Make the filling by combining the cream and lemon curd. Spread over the cooled meringue. Cover the cream with the fruit. 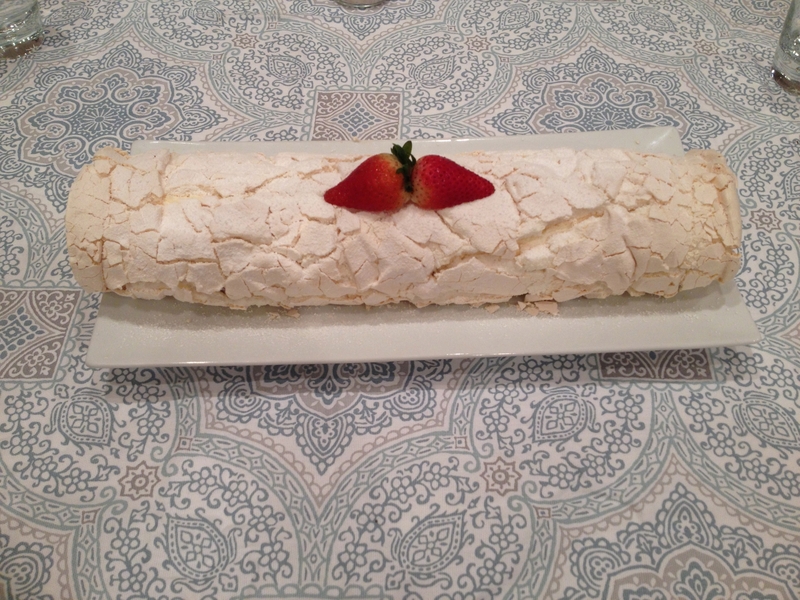 Roll the meringue away from you, using the foil (or tea towel) to help guide and keep the shape of the roulade. Transfer to a serving dish and dust with more icing sugar and decorate with berries and mint leaves. So while these day I regularly use some stiff peak moves, I have officially retired my stiff arm maneuver! < Previous Spooky Saturday Night!